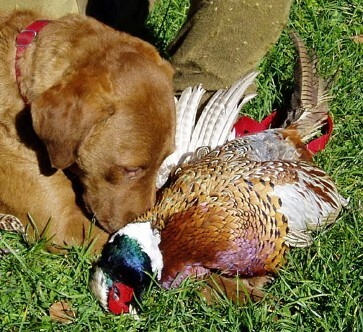 Wonderful Family Companions & GREAT Gun Dogs! 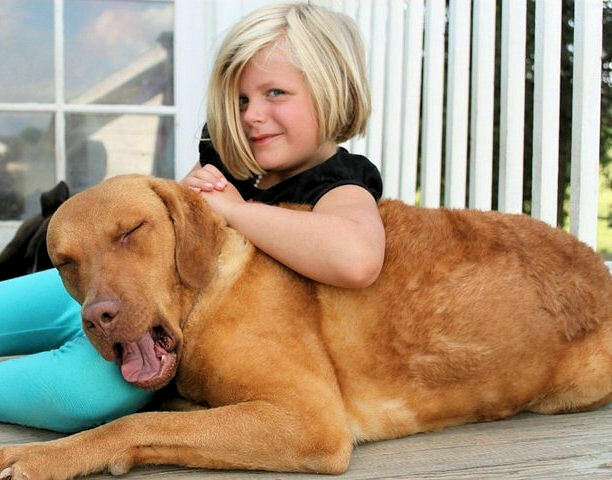 Longmeadow Kennels are dedicated breeders of only Chesapeake Bay Retrievers. 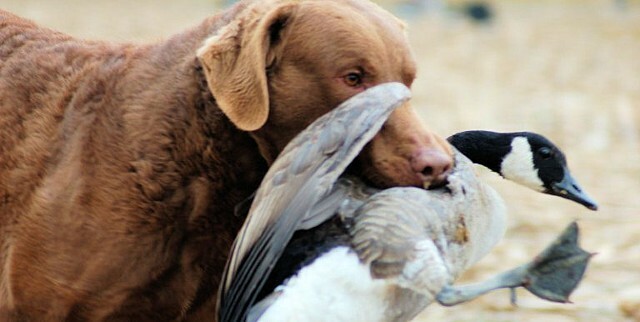 We are one of the very few true Chessie Gun Dog Breeders in the Nation! We are also one of the few Chessie breeders that keep live birds on the premise. Most kennels listed here are focused on producing the next Best in Show dog so their goals for their litters do not include, health, temperament, bird desire or trainability. We are professional full time breeders- we make dogs for other folks vs. the "hobby" kennels who breed dogs for themselves and have other careers. When you purchase a pup from Longmeadow you will actually deal directly with us – your puppy will be raised at our kennel by us personally vs. other breeders who get most of their pups from novice co-owners located all over the country. Longmeadow has more OFA Excellent (highest hip rating) current breeding dogs than any other Chesapeake Bay Retriever kennel; we also have a top ranking for OFA CHIC awards which recognizes dogs tested in accordance with the breed protocol set by the American Chesapeake Club! 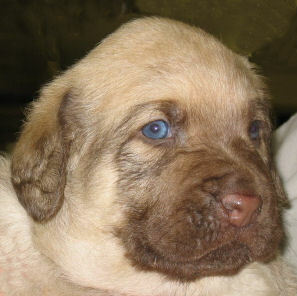 We are dedicated breeders of Chesapeake Bay Retrievers ~ Our breedings produce puppies with fabulous temperaments that are suitable as Family Companions & Great all around Hunting Dogs ~ We provide a LIFE TIME of Health & Training advice for our VALUED puppy clients ~ Pups are Vet Checked, Wormed, Vaccinated & Bird/Retrieving Skills Tested to insure you're getting the right puppy for your needs! facebook find us for puppy updates! Hi Laura, Hope you had a happy birthday with and without your doggy friends. I want to tell you that Nessie celebrated her 10th birthday this summer and is doing well. We go to the pond every day for stick retrieving and swimming. She is the first in and last out of the water. She brings me sticks and dances around, if I don't throw them fast enough. I wish I had her energy. She is getting a little gray around the muzzle (like me) and enjoys a good nap on the couch after swim time. Anyway, she has been a delight and hopefully we will have many more years together. Thank you for being her mother, too. Good evening Laura. I want to say first we love CiCi she is a fast learner and great dog! We are thoroughly enjoying her. Thank you again for the beautiful loving dog you picked for us. Catriona H.
Hello Laura! Just wanted to drop you a note letting you know we made it home safely! Bowie is doing awesome! He was great on the ride home. He slept with me last night and was such a good boy. He woke up twice and sniffed my face so I took him out to do his business and it worked perfect! We are learning his signs of when he has to do his business and his schedule seems to be about every 30 minutes while he is awake. This morning has been busy - we ate our breakfast and played outside in the rain - which didn't seem to bother him at all! I am super amazed at how attentive he is to us! He would go smell something and then run right back to me and sit on my feet! My husband has been calling every two hours to check in….he can't wait to come home Saturday and play with our new little guy! I can't say enough about how awesome this puppy is! I can tell he is one super smart cookie! He already realizes where the door is and pushes his nose on it in an attempt to go outside! He just wants to be next to me all the time - I love it! My yorkie is still wondering where I found this guy! LOL Bowie has discovered its fun to chase her around the table! I won't have to worry about hawks swooping in to get our yorkie with Bowie around! I think they will make fine friends in a few weeks! They do well together when we all go outside to do business! Thank you so very much Laura for our new love! We will be very busy and lacking sleep for a while, but he is so worth it! Thank you for selecting us for one of your perfect babies! We are totally in love! I look forward to seeing what this pup becomes - he's so smart! Laura, just wanted to let you know that Chance is half way to his Junior Hunter Certification. 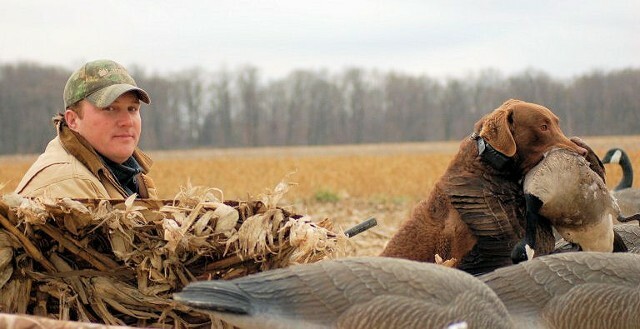 He should finish this coming weekend in Va. Bobby has done wonders with him as he has been at Troy Creek since February. Bobby has a couple of pictures on his Facebook page if you wanted to see our magnificent looking Chessie. Thanks for selecting the perfect puppy for us.